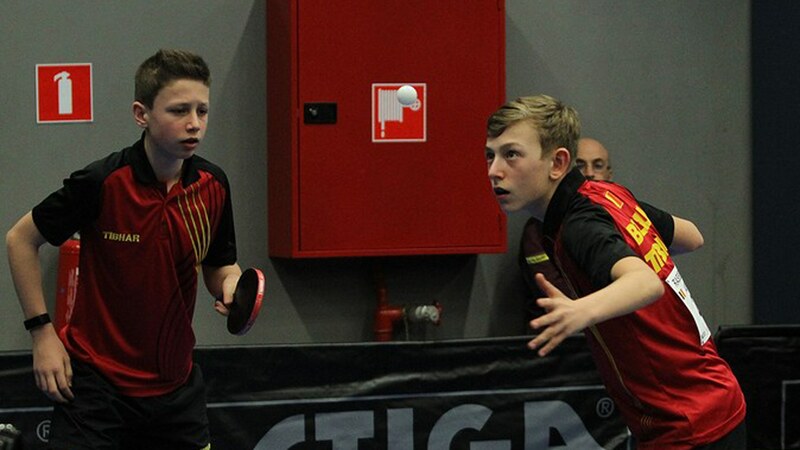 Friday 21st April marked the start of the team competitions at the 2017 ITTF Belgium Junior and Cadet Open in Spa, and India enjoyed a positive day across all four of the events as day three of the tournament set up semi-finals matches for each category. The group stage of the Junior Girls’ Team competition featured four groups of three teams, and the top seeds India were drawn into Group A alongside France and a mixed nationality team of Argentinian, Swedish and Thai competitors. Archana Girish Kamath led India to a strong opening in the group as her brace of victories against France’s Aline Rocher (11-6, 11-5, 5-11, 12-10) and Juliette Gasquez (11-8, 11-6, 11-8) helped the group favourites to a three-one win. India then picked up a second win with Archana Girish Kamath, Moumita Dutta and Priyanka Pareek overpowering opponents Camila Kaizoji of Argentina (11-5, 12-10, 11-3), Thailand’s Monapsorn Saritapirak (9-11, 9-11, 11-9, 11-6, 11-8) and Tova Zarins of Sweden (11-8, 11-7, 11-8) to claim top spot in Group A and set up a meeting in the last four with Norway, who emerged as Group D winners. Group A victors in the Junior Girls’ Team category, and in a similar fashion India also achieved the same feat in the Junior Boys’ Team event with three-nil triumphs against Spain and Norway sealing a place in the semi-finals. However, the identity of India’s semi-final opponents would be decided in a thrilling Group C finale as Russia held off the challenge of the mixed team of Lithuania and Dominican Republic. Despite a brave showing from Lithuania’s Medardas Stankevicius, who registered two wins for his team, victories over Rimas Lesiv for Anton Kotov (9-11, 13-11, 11-7, 6-11, 11-8) and Ilya Isakov (11-4, 6-11, 12-10, 9-11, 11-5), and a positive result for Pavel Linov against Pedro Cabrera of the Dominican Republic (11-4, 11-4, 11-6) set up a last four encounter with India. Alongside the Junior Boys’ Team and Junior Girls’ Team competitions there was also action from the Cadet Boys’ Team and Cadet Girls’ Team draws on Day Three in Spa. The host nation will be represented in the Cadet Boys’ Team semi-finals after Belgium ‘A’ booked its spot in the penultimate round of the tournament following group stage triumphs against Spain ‘A’ and Russia ‘C’ under the leadership of home players Olav Kosolosky and Adrien Rassenfosse. Over in the Cadet Girls’ Team competition the pairing of England’s Charlotte Bardsley and India’s Vanshika Bhargava not only managed to finish in first position in Group C, but also prevailed against Norway’s Katarina Wetzel and Martine Toftaker in the last eight.